Who was Saint George? 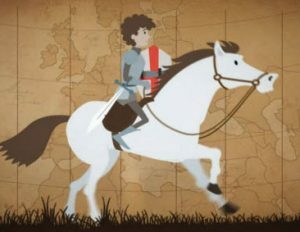 Find out about the fantastic tale of how George defeated the Dragon and how his bravery is remembered on St George’s Day (23rd April). George became the Patron Saint of England as well as other countries including Portugal, Malta, Ethiopia, Georgia, Serbia and Lithuania.